Old Masters style, originally uploaded by losmedanosart. 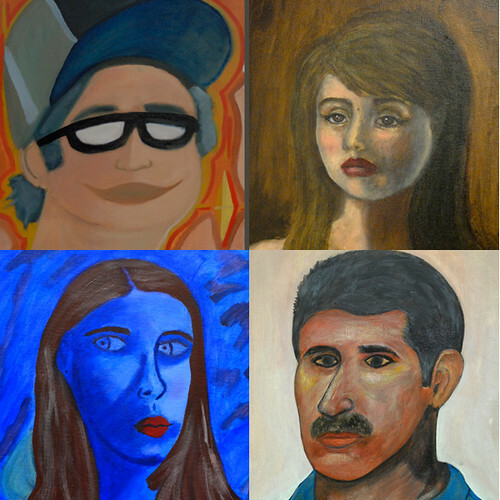 Self portraits in David Tallitsch's "Introduction to Painting" class. Students are using an old masters technique -- indirect painting -- where they use monochrome underpainting for value and composition, then add layers of opaque paint to build up light areas.